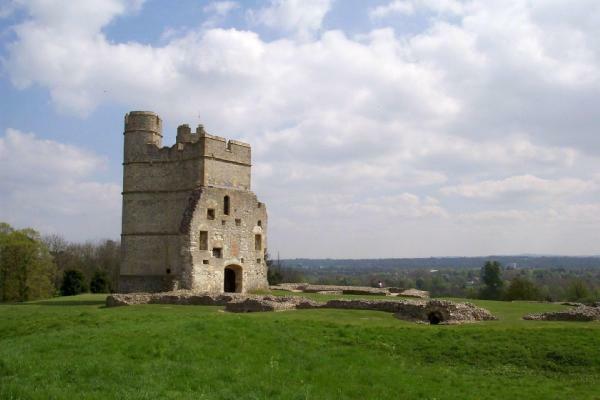 I have decided to gather the team to investigate Donnington Castle in Newbury this Saturday 30th May 2009. 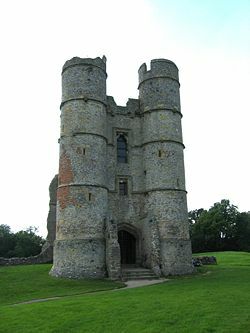 Donnington Castle is a ruined medieval castle, situated in the small village of Donnington, just north of the town of Newbury in the English county of Berkshire. It was built by Richard Abberbury The Elder, under a licence granted by King Richard II in 1386 AD. It has seen many English wars, and was besieged several times during the English Civil War. 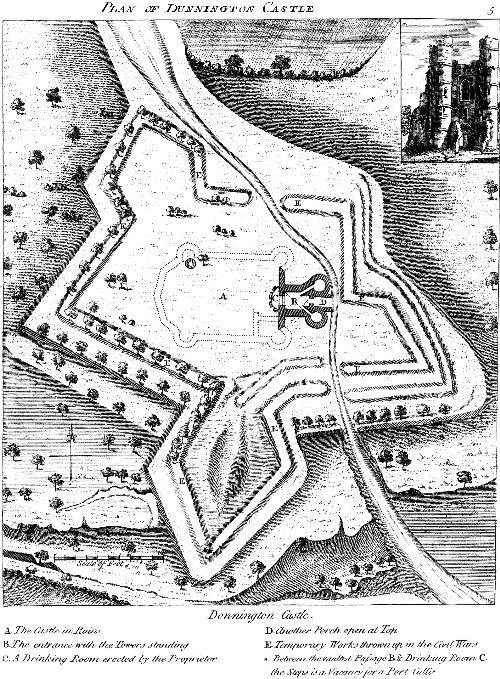 All that remains of the castle today is the substantial four towered gatehouse, and the surrounding earthworks. In the 1990's a white dog was seen running down the hill from the castle towards the woods where it vanished into the air. The gatehouse is home to the ghostly figure of a guard who appears in solid form and suddenly vanishes. A ghostly re-enactment of a Civil War skirmish has also been witnessed in nearby Love Lane. The ghostly form of 'the Green Lady' (thought to be Lady Hoby) has also been seen by the castle gates. The ghost is said to ask visitors why the gates are closed, before suddenly disappearing. A group of young campers witnessed the horrifying sight of an apparition of an elderly Royalist soldier with a young woman in a headlock, pulling her hair. Alarmed by this vision, one of the campers bravely shouted out at the Royalist cavalier to "leave her alone"; the phantom soldier then growled loudly and carried on pulling his victim's hair. When the startled group approached the apparition, the soldier stood back, and let out another almighty growl and both figures completely vanished. G.P.S will be camping in those exact woods, and aim to debunk some of the experiences had by so many. And introducing NEW Trainee Investigators Steve Sweet and his wife Debbie. Steve is a police office of 10 years, and he and his wife have been investigating locations alone for a while. As this is an outdoor investigation, suitable clothing for all conditions is advisable and a tent, sleeping bag and food is a must. I will post more this week, and call each of you to discuss the details. This sounds grat, I think this saturday is the 30 May. sounds great , and a cool place hope the weather keeps up for you . My fingers crossed the investigation goes well! Thanks Barri for the invite and to you all for the warm welcome. This is a very interesting location when me and debs went there we experienced activity. However the castle is off limits to the public due to health and safety. This will be a goodnight for a open investigation and possible evidence. I am looking forward to seeing the photographs of the castle and grounds to get an idea of what to expect. Camping in the woods should be interesting, maybe we should delve deeper into the history of the land and the battles that took place. Photos have been emailed to you. OOOOH! love that place!! Looks really, really promising. And i have to admit: I am a bit jealous! I would love to join you on that one, but that´s a bit far from us . Barri, if you want me to do a bit of research about it, tell me. I love researching castles!